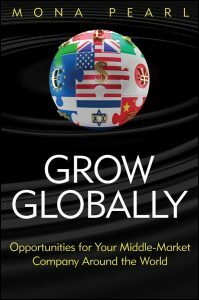 With less than fifty percent of middle market US companies succeeding at going global, corporate executives need to know how to build effective global execution platforms that will allow their organizations to thrive in a global economy. Filled with case studies and indispensable checklists, Grow Globally guides executives in crafting an actionable global strategy that will not only stand the test of change—but that will also be on target, on budget, and on time. As the world becomes more dependent on technology and trade borders gradually disappear, your company needs to acquire the tools and skills necessary to compete in the global market. Grow Globally presents the skills needed to build a global execution platform that will keep your organization relevant and competitive in the international landscape. In-depth coverage in a single handbook of the middle market based on the body of knowledge of the Certified M&A Advisor credential program, with a contributed chapter by Mona Pearl on the global aspects of M&A. M&A advisors have an unprecedented opportunity in the middle market with the generational transfer of wealth and capital being deployed by private equity and corporate investors. 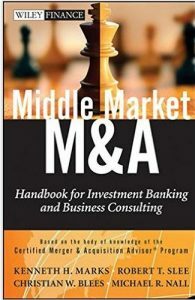 Middle Market M&A: Handbook for Investment Banking and Business Consulting is a must-read for investment bankers, M&A intermediaries and specialists, CPAs and accountants, valuation experts, deal and transaction attorneys, wealth managers and investors, corporate development leaders, consultants and advisors, CEOs, and CFOs. 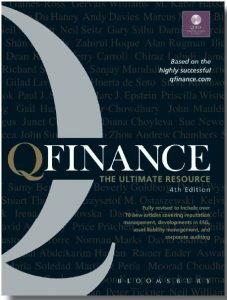 This practical guide and reference is also an excellent primer for those seeking to obtain their FINRA Series 79 license. Imagine sitting down with Ken Blanchard, Stephen Covey, Mona Pearl and Brian Tracy and picking their brains for their best advice on their challenges, triumphs, and how they weathered storms. Everyone has inner strength. For some, it is evident in their leadership style. For others it shows in the unstoppable way they push on to reach their goals. In many, it is manifested in a quiet self-confidence that helps them triumph over the tough times in life. 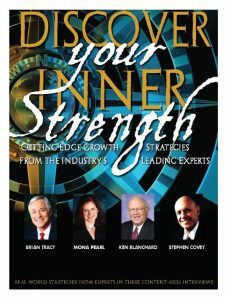 ‘Discover Your Inner Strength – Cutting Edge Strategies from Industry Leading Experts’ includes Mona’s chapter on ‘Leadership for Global Competitiveness’. Mona, Brian, Stephen and Ken share their vision and advice that will help you steer the wheel in the direction of success and self-fulfillment. There are many who are perplexed about what “inner strength” really means and specifically how to find it and use it. 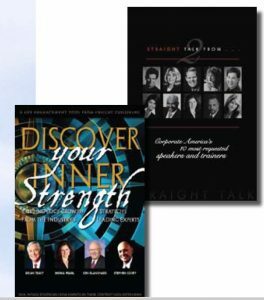 Discover Your Inner Strength is the tool that can help you do just that – discover your inner strength. The authors of in this book have been chosen because they are specialists in their fields. They know what it means to dig deep to find their inner strength and achieve the success they now enjoy. Everyone wants Success. How do you know when you have really achieved it? Is success measured in what one has or is it measured in some other way? Some have said that success is a journey, not the destination? I have met people who have all the things all the gadgets, possessions, and fame that anyone could want, but who still believe they haven t quite reached the top of the success ladder. Between the covers of this book are conversations with some of the most interesting people I know. Together, we decided that people need good, common sense information that everyone can understand about this sometimes misunderstood topic of success. So we decided to sit down and have some conversations some straight talk about various aspects of business and how to achieve success in today s struggling economy. I think you ll agree with me that these innovative people are pioneers in their various fields. They have original ideas that will give you a fresh outlook on how to succeed in business and in your personal life as well. The conversations I had with these fascinating speakers and trainers will make you think. Their experiences provide new channels of information that will help you climb the success ladder. Success you can achieve it! There are many self-help books on bookstore shelves today. Yet with the production information and advice, truly useful commonsense information that can be understood by everyone is not readily available. Straight Talk: Corporate America’s Ten Most Requested Speakers & Trainers is a book to fill that information gap. This book is an indispensable tool for those who think there is a higher rung on the ladder to success than the one they re standing on. A world filled with constant change: what are the major trends? Copyright © 2019 Mona Pearl. All rights reserved.